Earned seven #1 Rankings for Specialty-specific EHR Systems in the 2018 Black Book Survey. Known for its artificial intelligence to help doctors support diagnosis and treatments. Has a mobile first approach helping make patient engagement a success. Have more free time. Built by actual physicians, resulting in features to save you time. Only covers 8 specialties at the time this was written. Hopefully they expand to help other medical specialty practices. With $318 Million invested in them, they need to prove their business model and show results. Always the chance of price disruption through IPO or M&A activity. See above for Modernizing Medicine Reviews. If you are a user of Modernizing Medicine, we want to hear from you. Do you like Modernizing Medicine? Is it easy to use? How is the support? Learn more about Modernizing Medicine EHR. HOW IS MODERNIZING MEDICINE DIFFERENT FROM OTHER EHRS? 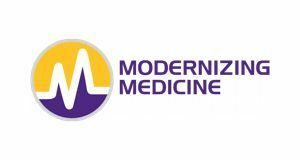 Modernizing Medicine specializes in EHR solutions, practice management and revenue cycle management for medical specialty practices. Their big sell is that you will have more free time because their EHR is so efficient and easy to use. Their powerhouse, flagship solution is called EMA (Electronic Medical Assistant). If you are looking to track your performance in real-time, Modernizing Medicine offers powerful analytics and benchmarking tools. Patient engagement is a key driver for Modernizing Medicine. They offer a variety of tools such as telemedicine, a patient portal and patient kiosk. They are also ahead of their competitors with “mobile first” solutions. Lastly, Modernizing Medicine offers advisory services such as concierge coaching that help practices achieve MIPS success. DOES MODERNIZING MEDICINE INCLUDE AI (ARTICIAL INTELLIGENCE)? With the growth of AI, this helps give Modernizing Medicine an edge over their competition. WHAT MEDICAL SPECIALTIES DOES MODERNIZING MEDICINE EHR FOCUS ON? Focusing on medical specialties is part of Modernizing Medicine’s differentiation strategy. They have emerged as an industry leader that also provide specific specialty content. In the 2018 Black Book Survey, they earned seven #1 Rankings for Specialty-specific EHR Systems. With $318 Million invested in them1, they need to prove their business model and show results. Always the chance of price disruption through IPO or M&A activity.